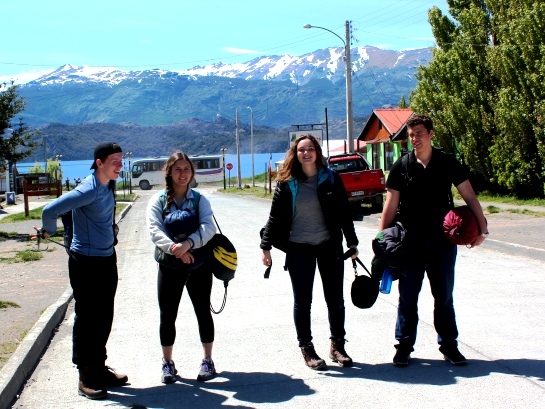 Saskia, a teaching volunteer, has shared some of her beautiful photos from a recent trip that the Chile group went on. Before checking out these beautiful photos if you want to see what she has been up to, check out posts her other blogs on settling in, food, life as a volunteer teacher and free time. 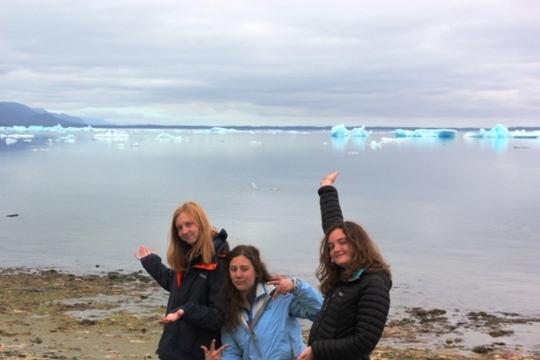 There are also plenty of other past volunteer stories on the Chile blog. 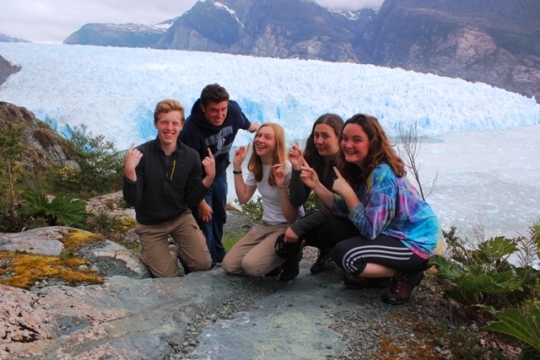 This is a fantastic ways to check out the trips that you can get involved in when you are based in Coyhaique. If you would like to get involved in the programme then check our out website. After a stressful start to the day, due to us having the wrong bus tickets, and Jack forgetting his sleeping bag, we made it to Puerto Tranquillo! The bus ride is amazing, we passed through Cerro Castillo National Reserve, a valley killed by volcanic ash after the eruption of Hudson that is beginning to grow back, and finally skirted around South America’s second largest lake, Lago General Carrera. We were so lucky with the weather and after a quick lunch by the lake we got into a boat and headed onto the lake to see the marble caves. The caves have been formed by wave action is the lake over the last 6,200 years and are beautiful. I don’t think I’ve ever taken so many pictures in such a short space of time! The following day we headed out to Laguna San Rafael. After around 2 hours, we reached a river and had to load everything into a small boat to cross to the other side, where we picked up a new minibus. Although my picture doesn’t do it any justice, the river was a really cool colour as the point at which we crossed was the confluence of 3 rivers, all different colours due to where they had come from. After around half an hour in the mini bus on the other side of the river, we reached the little boat that would be taking us out to the Laguna. The boat ride was around 2 hours but the scenery was beautiful in every direction. Before we went to set up camp we drove around a few icebergs to give us a taste of what was to come, they were incredible! They seemed to glow fluorescent blue and it was as if at night they would light up the water. We then had a picnic lunch on the beach and walked to the camp site we would be staying in. After a cup of tea and setting up our tents we set off on a hike, it took around 3 hours and we walked up to a viewing point over the glacier where we sat for a while and watched bits break off into the sea. We then returned to camp for supper which was actually really good, considering we were camping! Want to share your own stories of Chile, get in touch! We love hearing how volunteers get on living in such a beautiful part of the world. 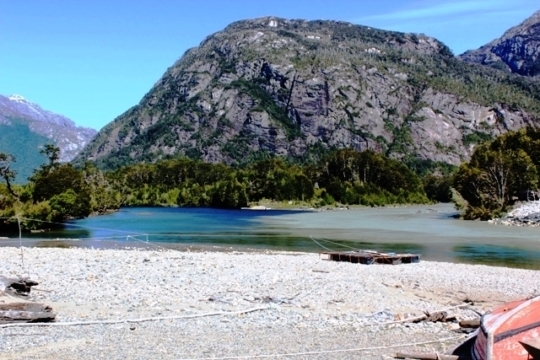 If you want to head to Coyhaique – The Gateway to Patagonia – to see the beauty of Puerto Tranquillo and Laguana San Raphael, join our 12 week volunteer teaching programme in Chile this year. 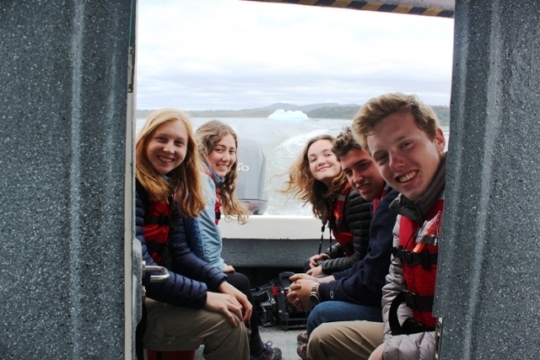 With two departure dates a year in September and March, you can make amazing memories with other volunteers, travelling to some of the world’s most rural and untouched parts of the world. 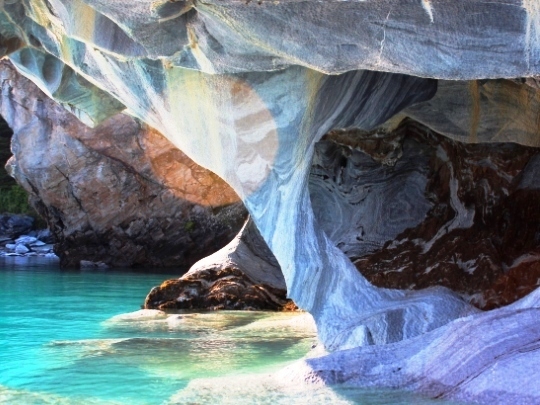 From the stunning Marble Caves to the jaw-dropping glaciers, there is so much to see. This programme is perfect for lovers of the great outside. If you enjoy hiking, adventure, rafting, horse riding and soaking in thermal springs, book onto our Chile programme and experience it first-hand. 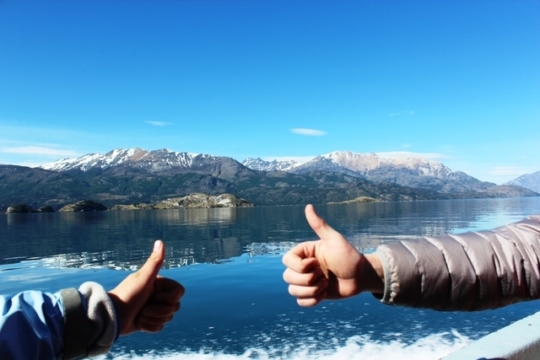 Living with a host family, will give you an opportunity to practise your Spanish, immerse into Chilean culture and to make life-long friends. For ore information, check out our volunteering as a teacher in Chile programme page or email Sarah on [email protected]. 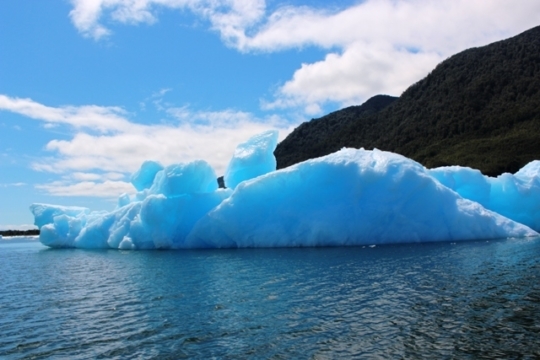 Start your Patagonian adventure today!